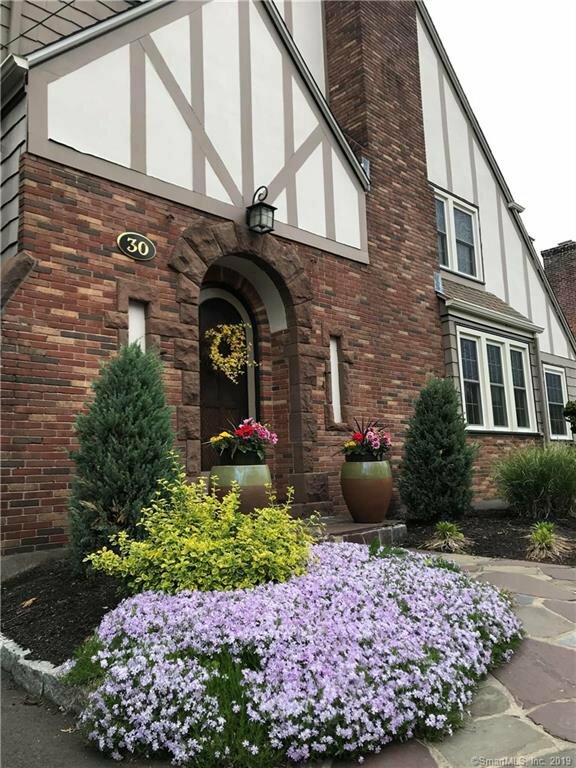 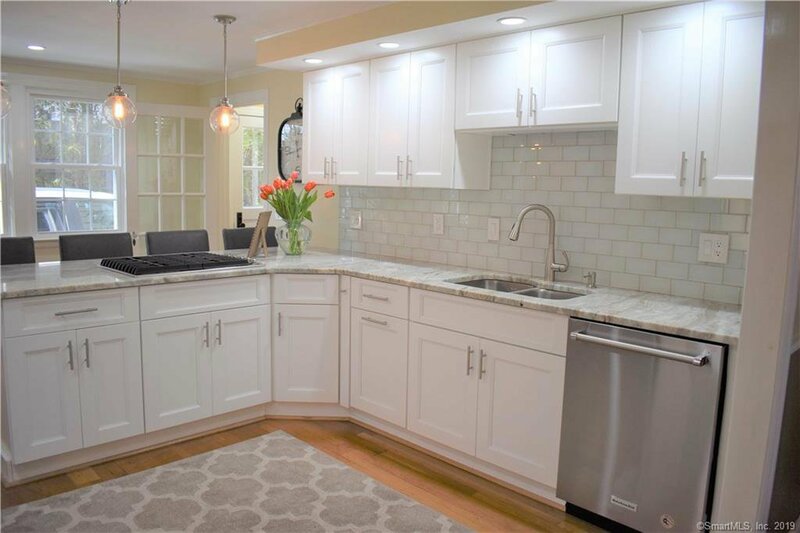 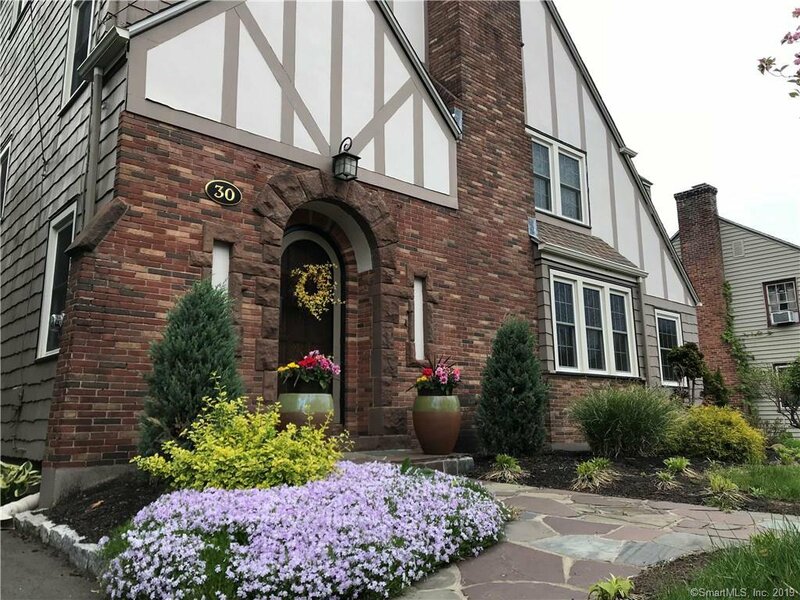 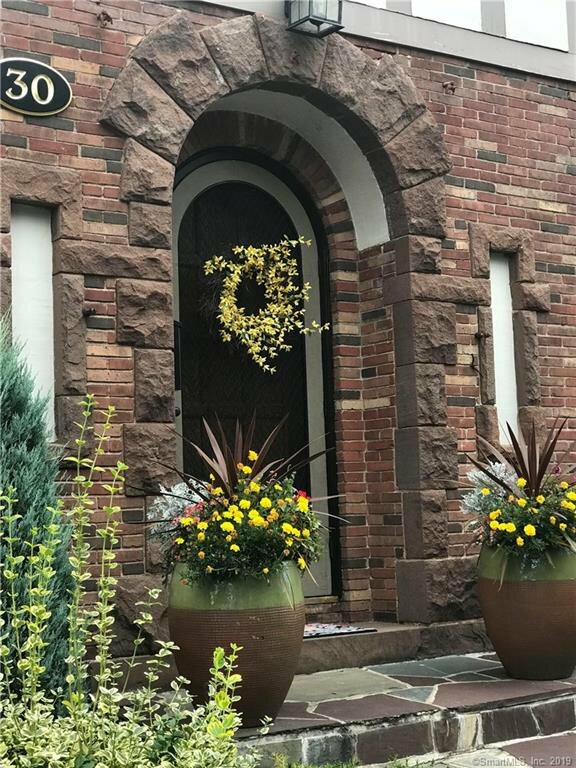 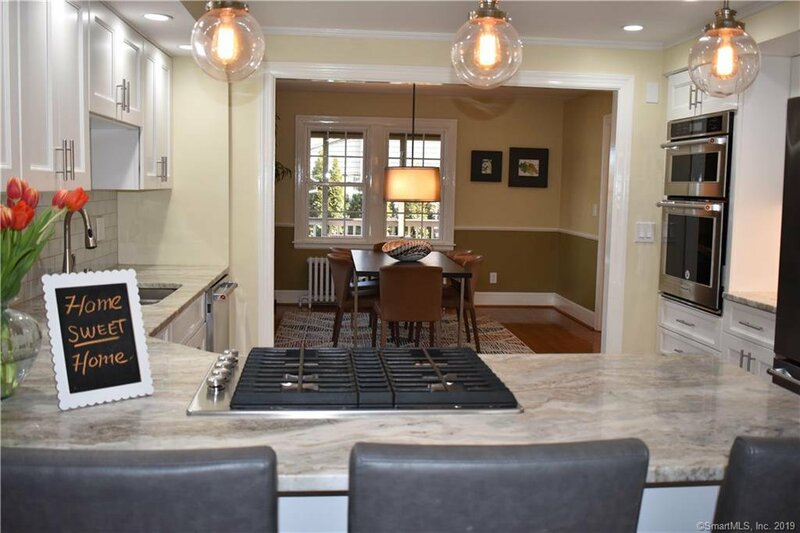 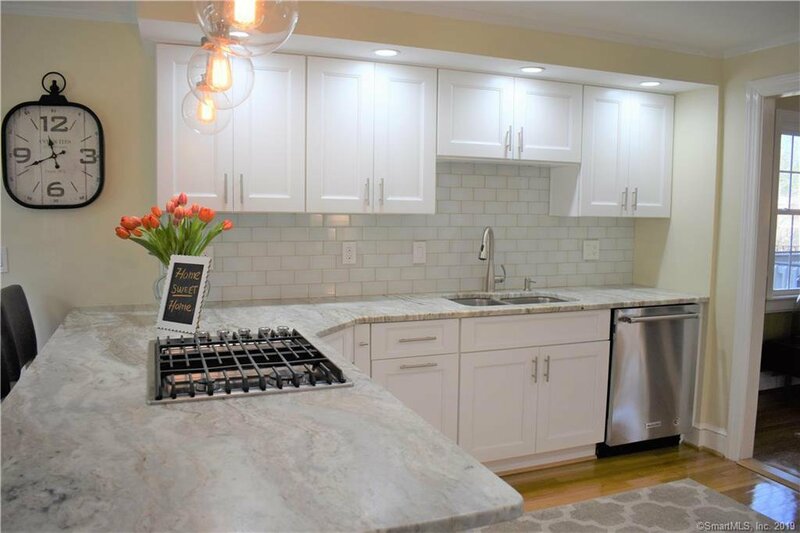 This sunny Tudor has so many beautiful updates including a new eat-in kitchen 2017 with white cabinets, quartz countertops, tile back splash and stainless steel appliances. 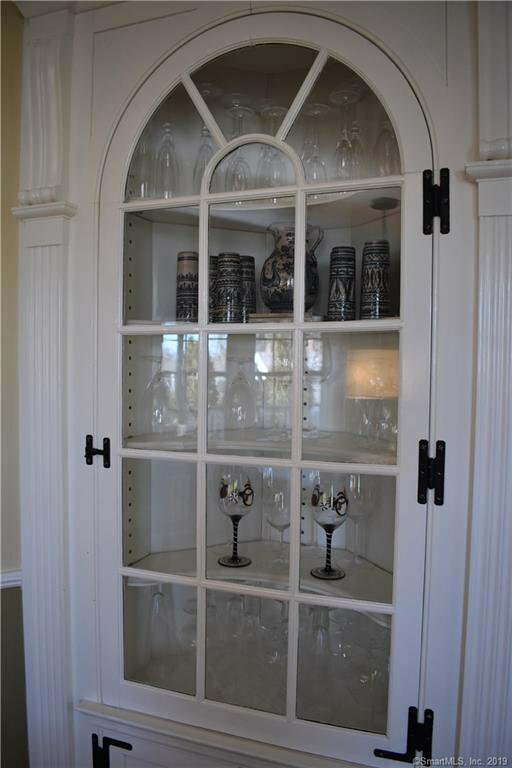 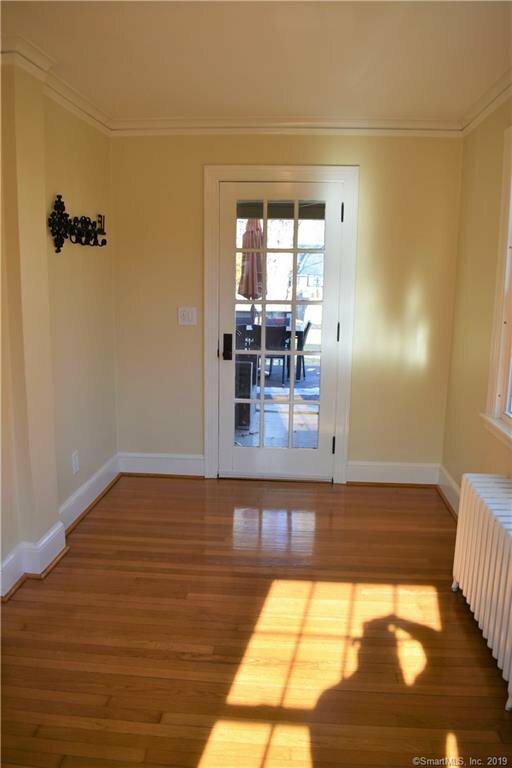 Formal dining room with built in corner china hutch which looks out to the lovely back yard. 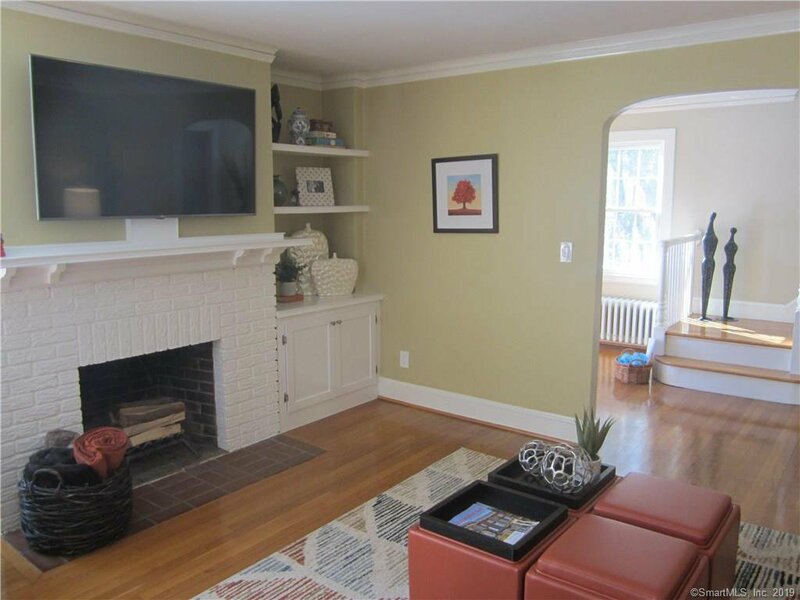 Large living room with wood burning fireplace and built in shelving which flows into the den/library. 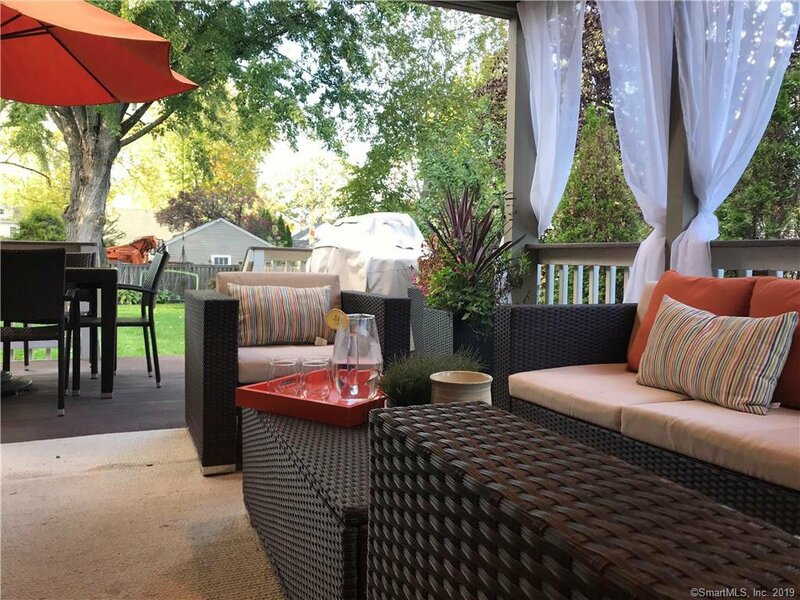 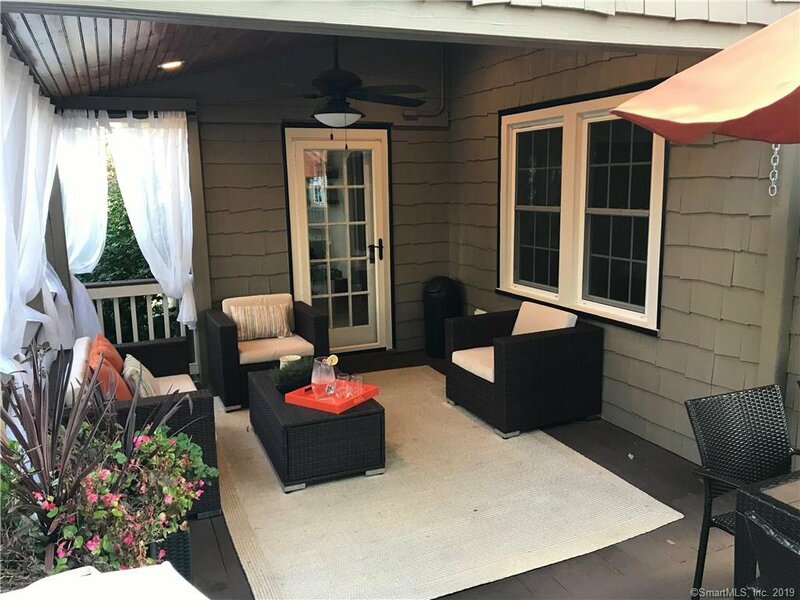 The den exits out to a beautiful partially covered deck with bead board ceiling with recessed lights and a ceiling fan, perfect for Al fresco dining. 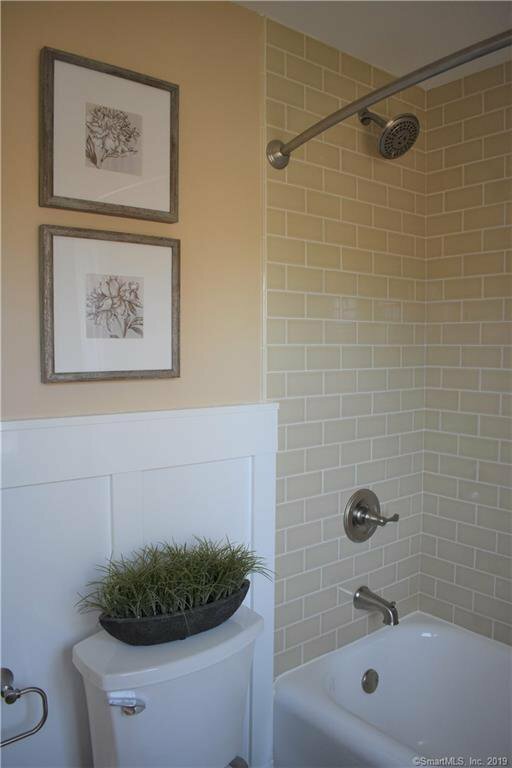 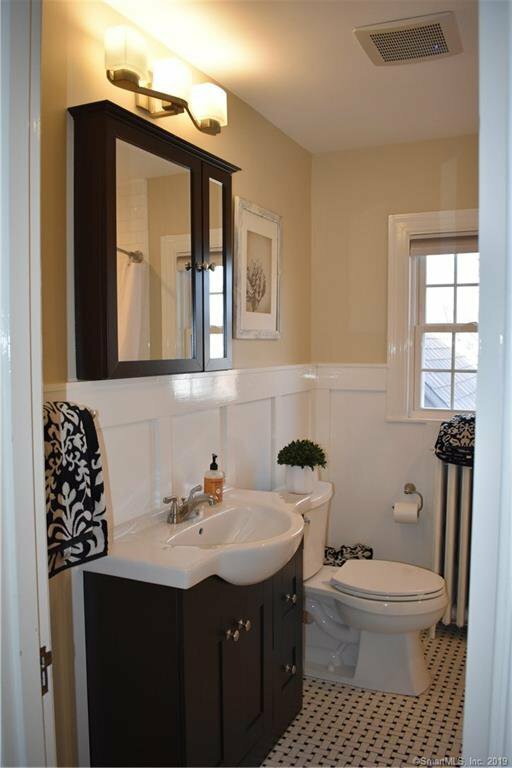 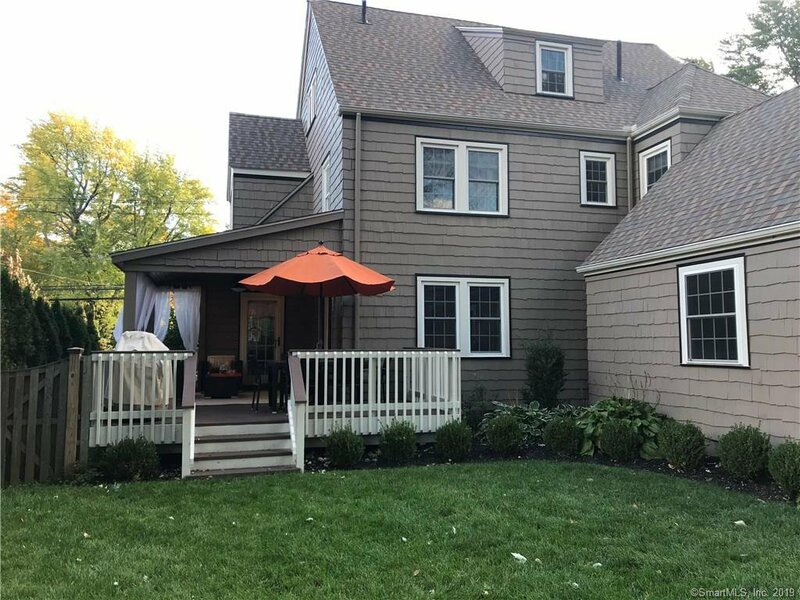 All four bedrooms are located on the second floor and the master bathroom and the second floor hall bathroom were just updated in December 2018. 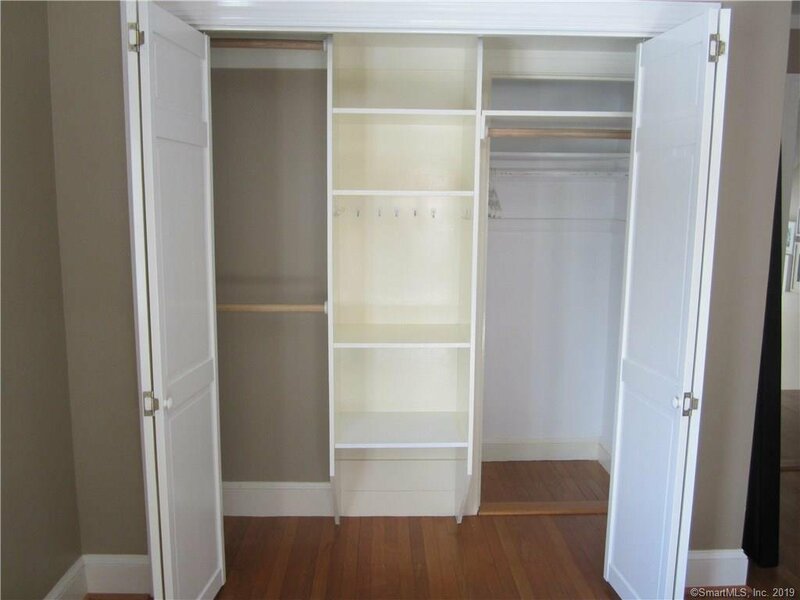 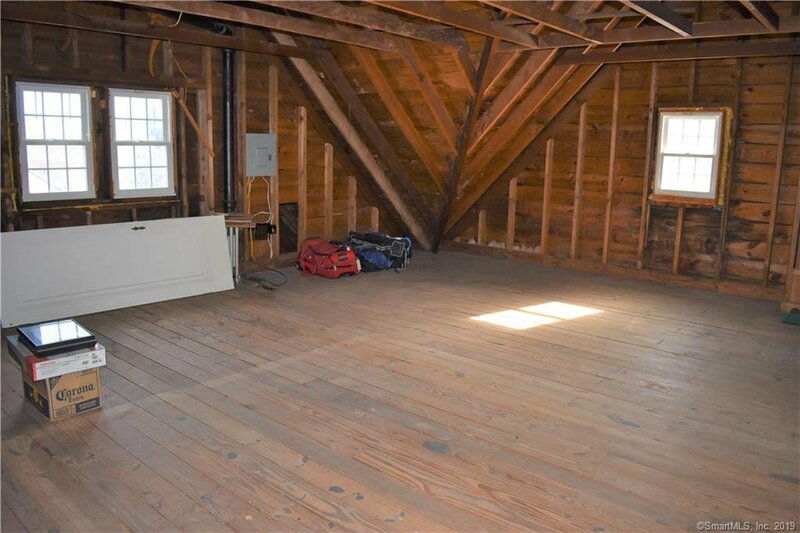 There is a full walk up attic which could be finished into a master bedroom suite or a second floor family room. 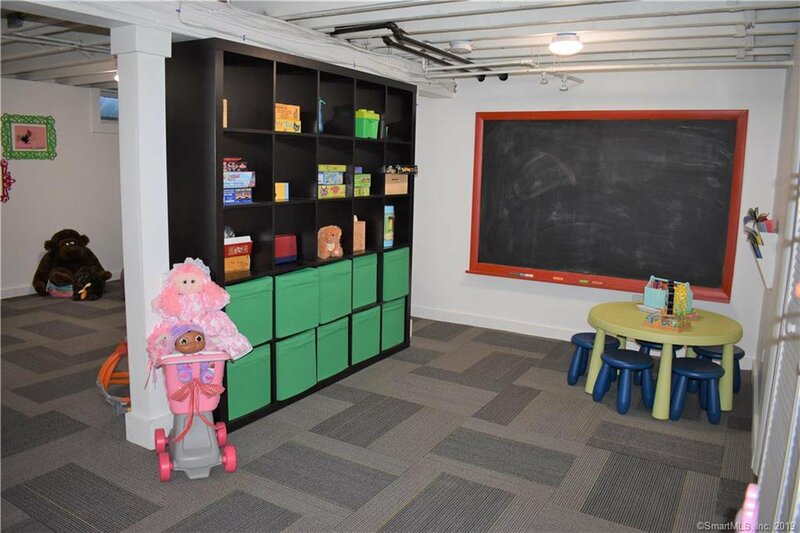 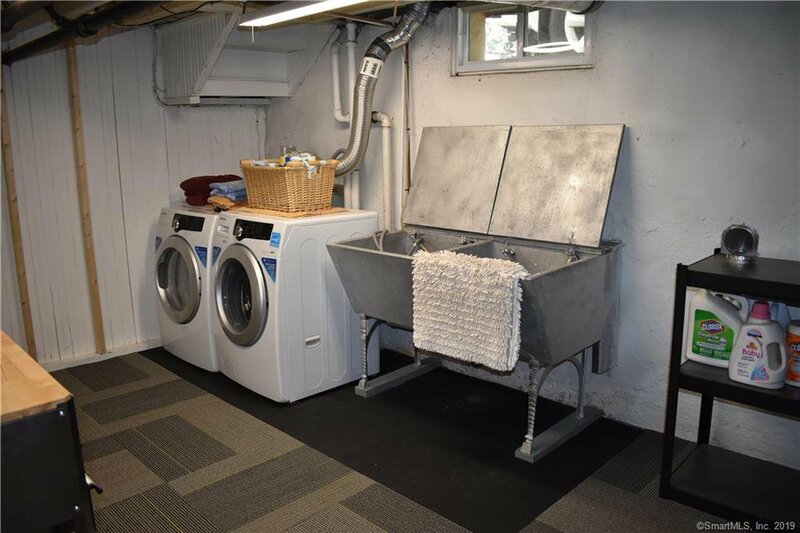 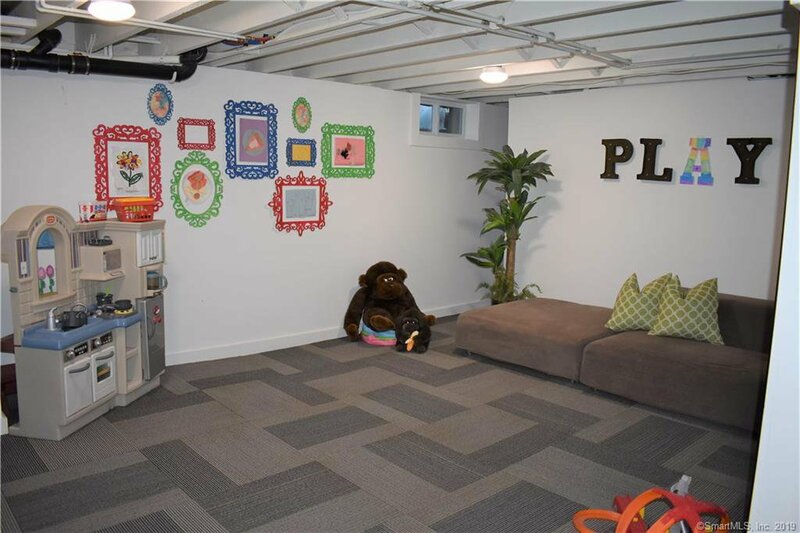 The basement is partially finished and makes a nice play room/rec and there is also a separate laundry room. 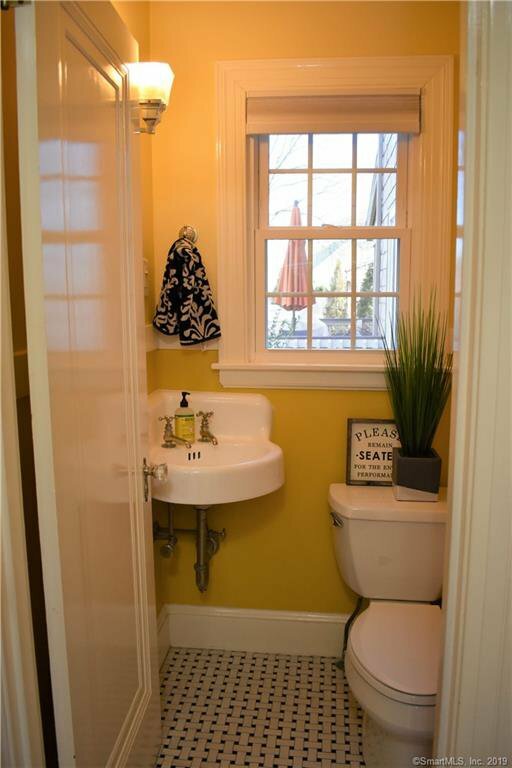 There is also an updated gas boiler, replacement windows and a new roof that was installed in 2018. 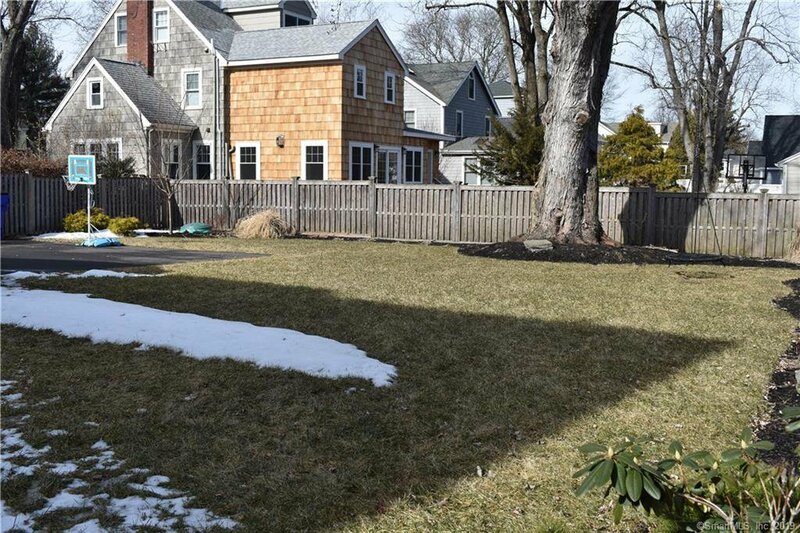 The front and back yard have a newer underground sprinkler system and the back yard is fully fenced and has a gate that goes across the driveway. 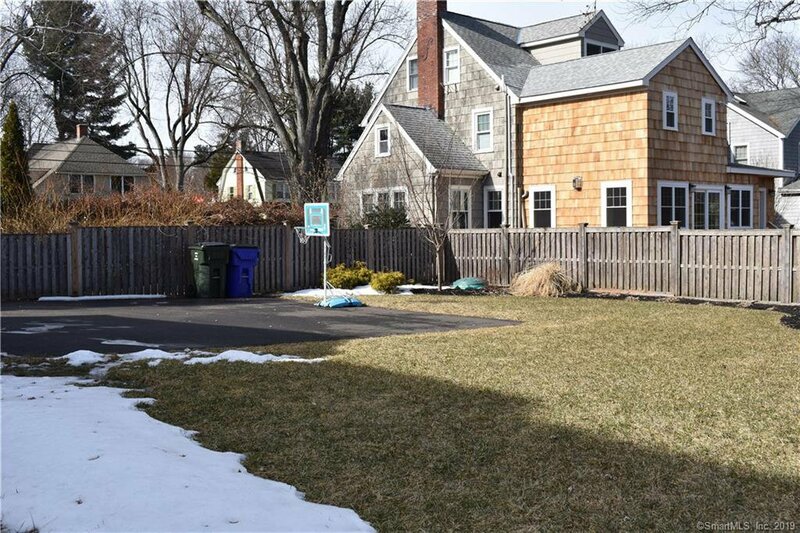 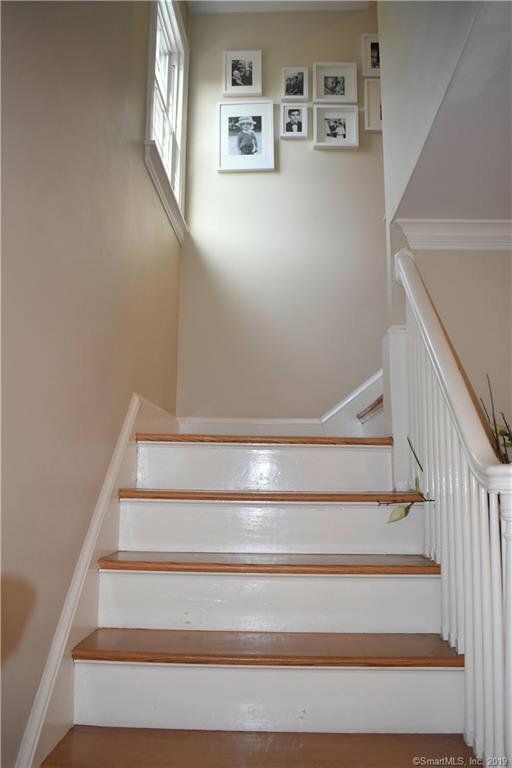 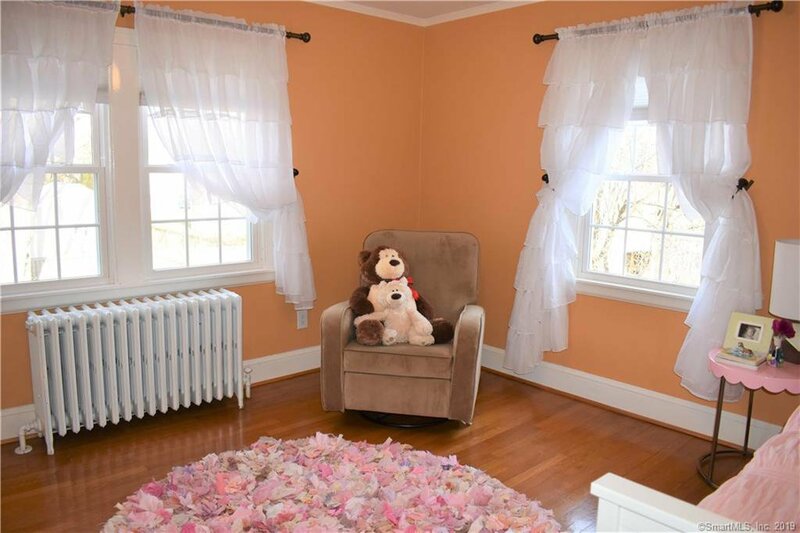 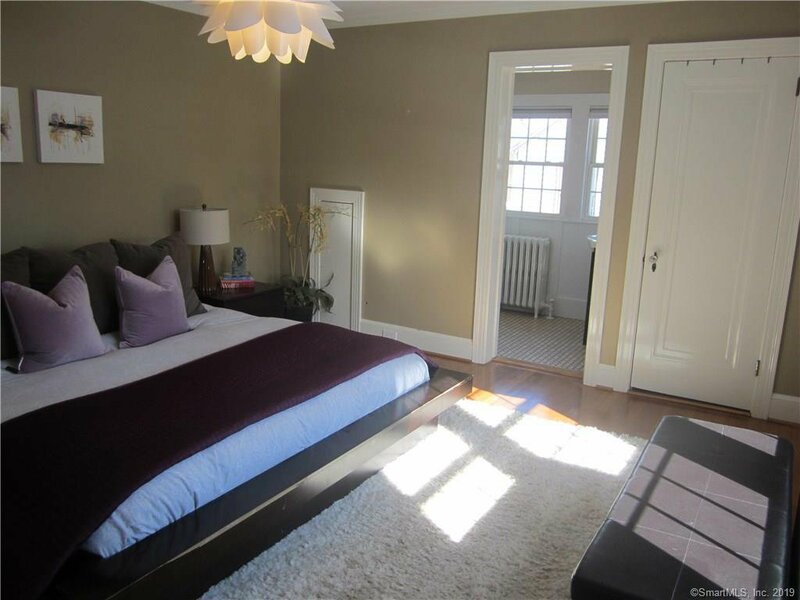 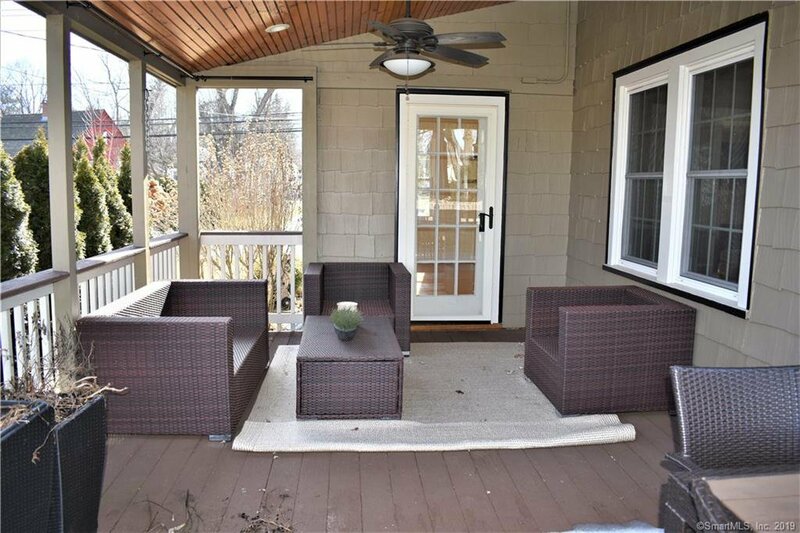 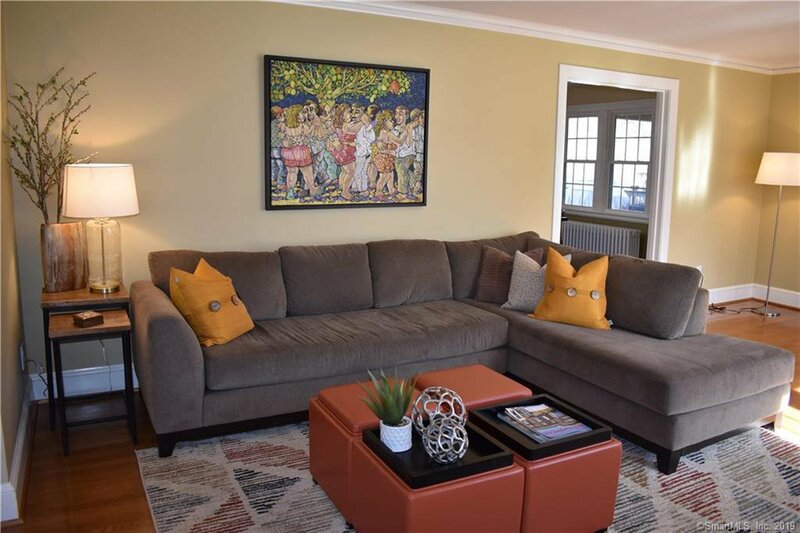 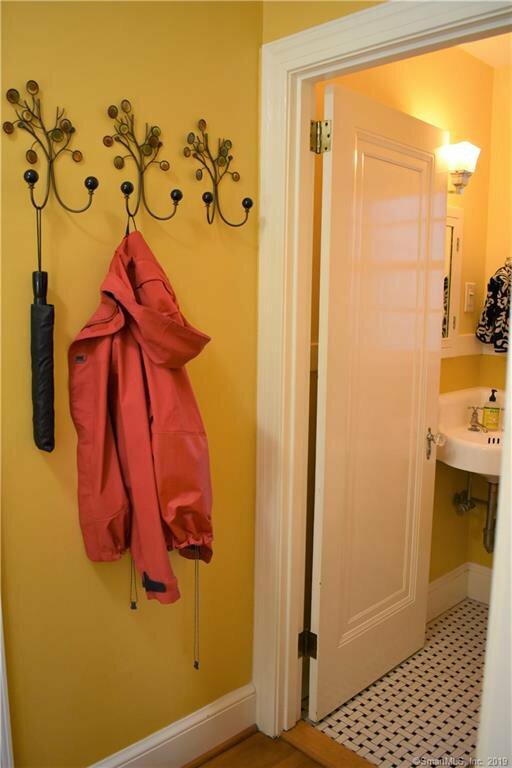 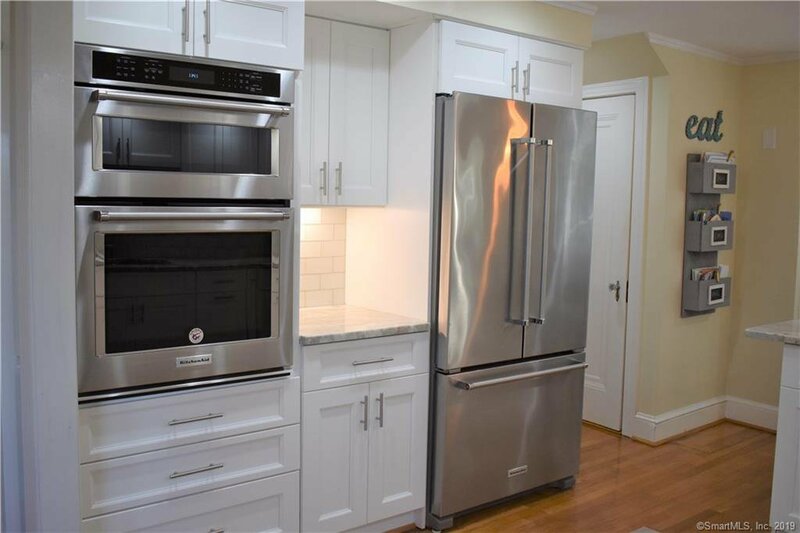 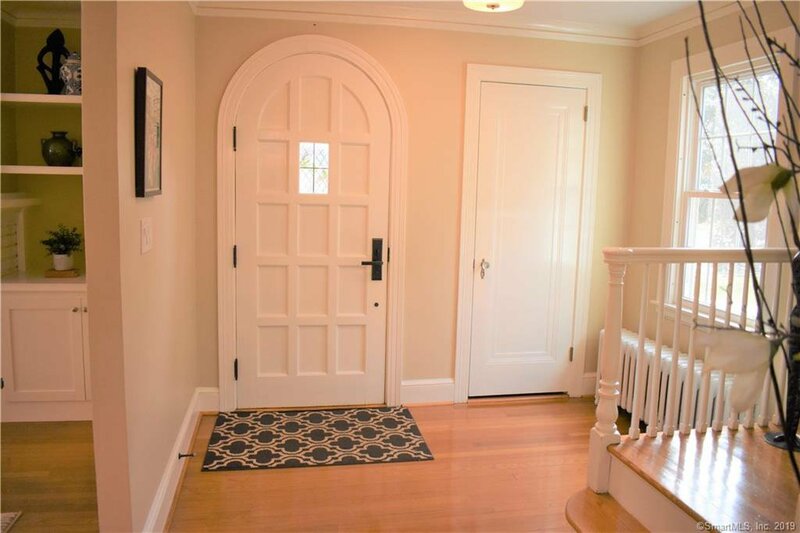 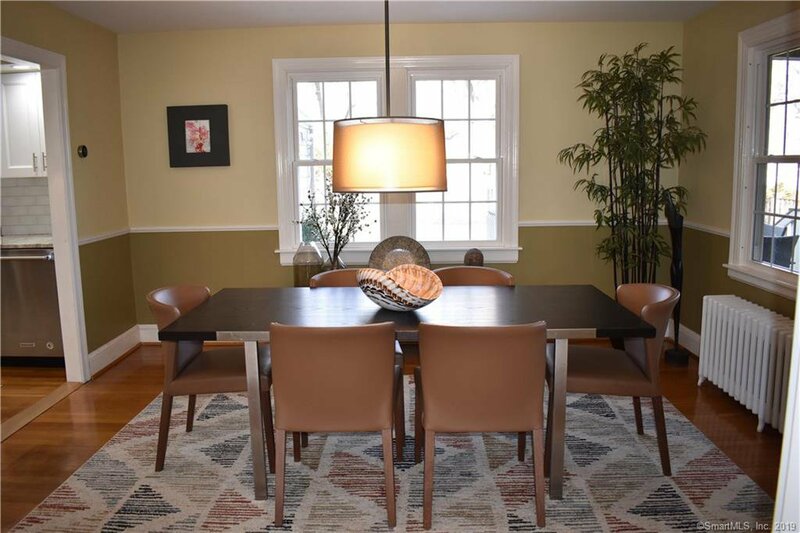 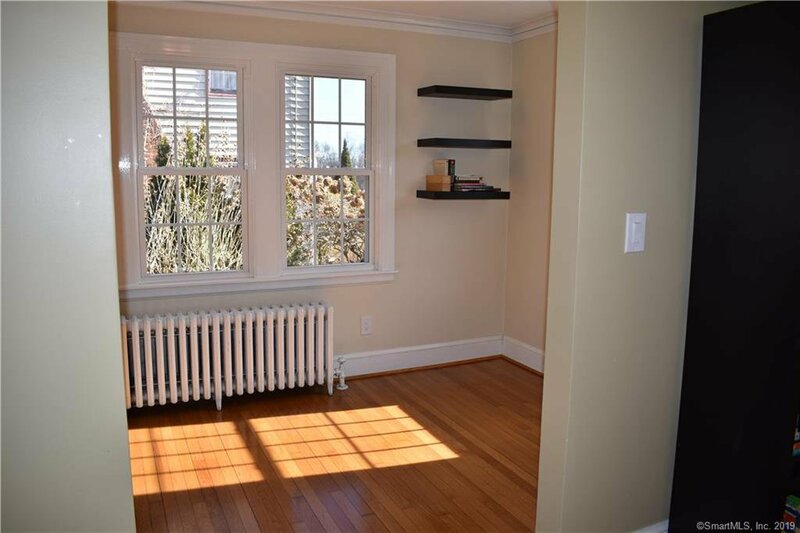 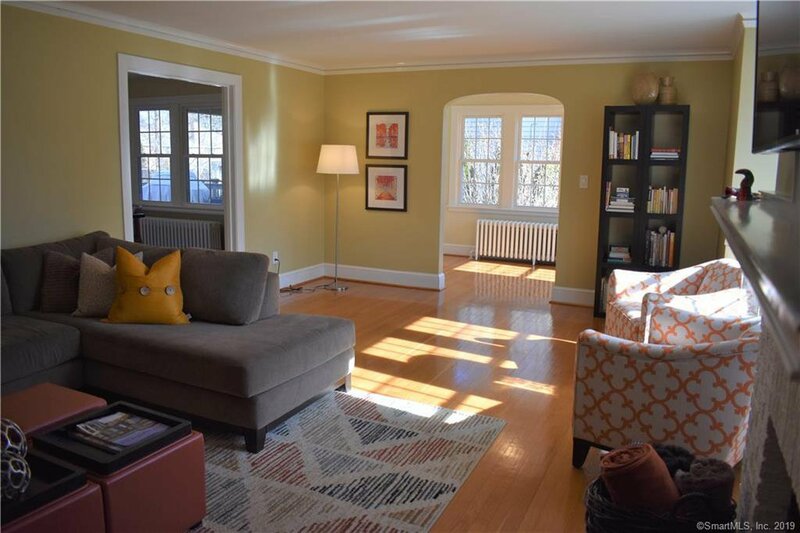 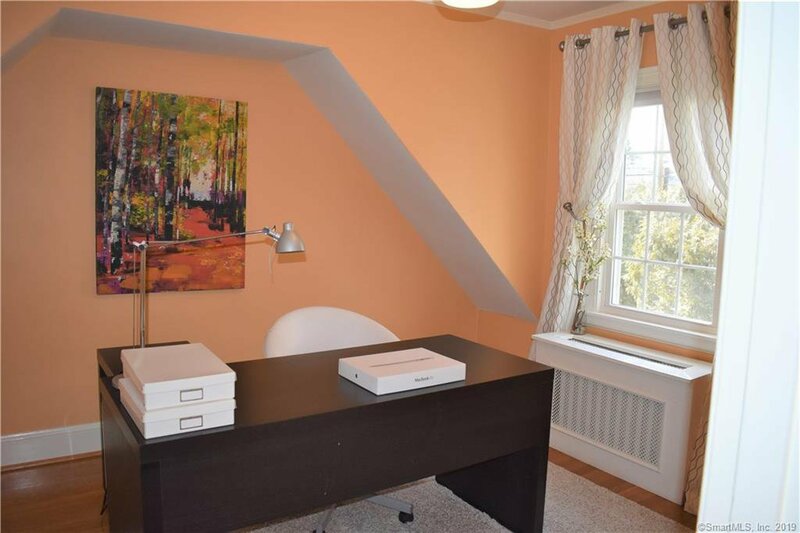 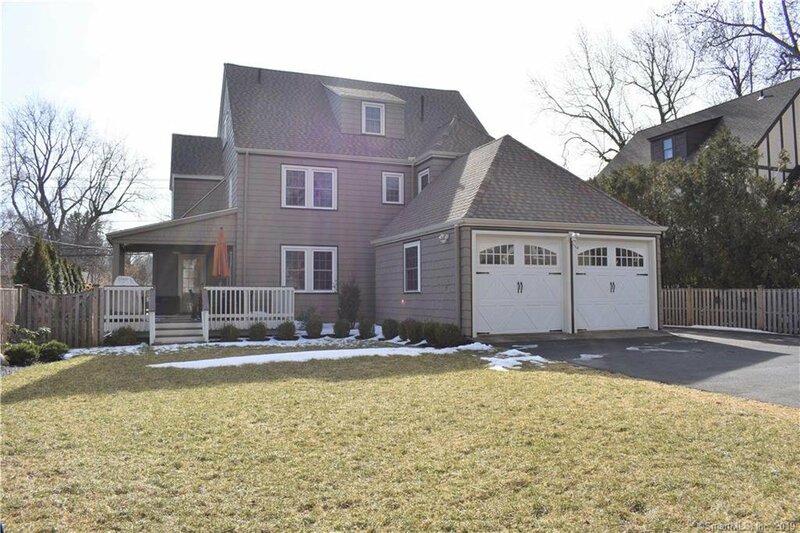 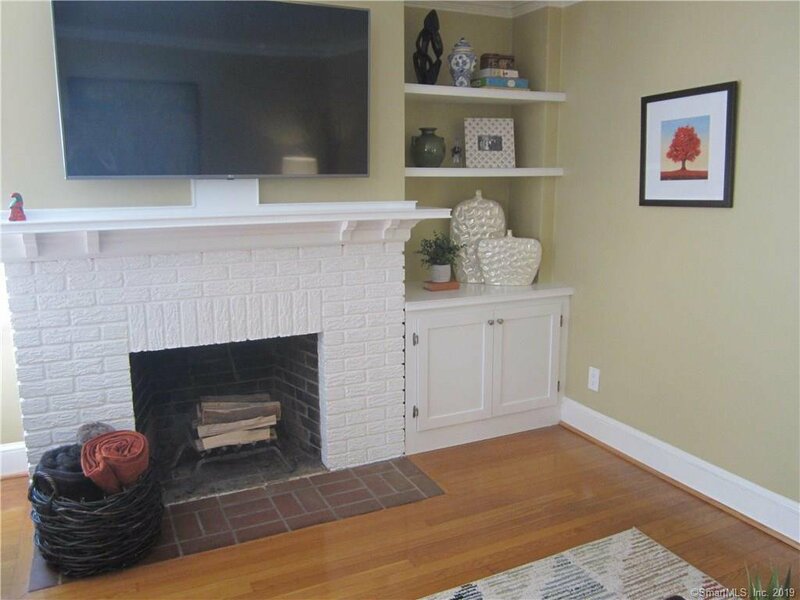 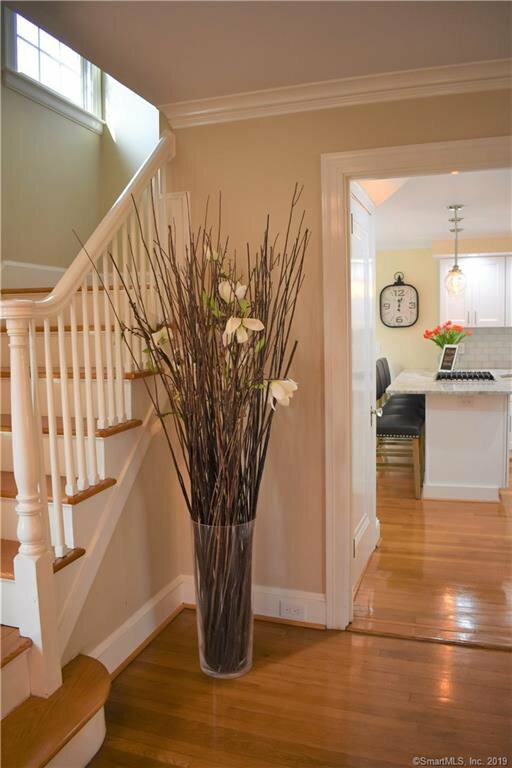 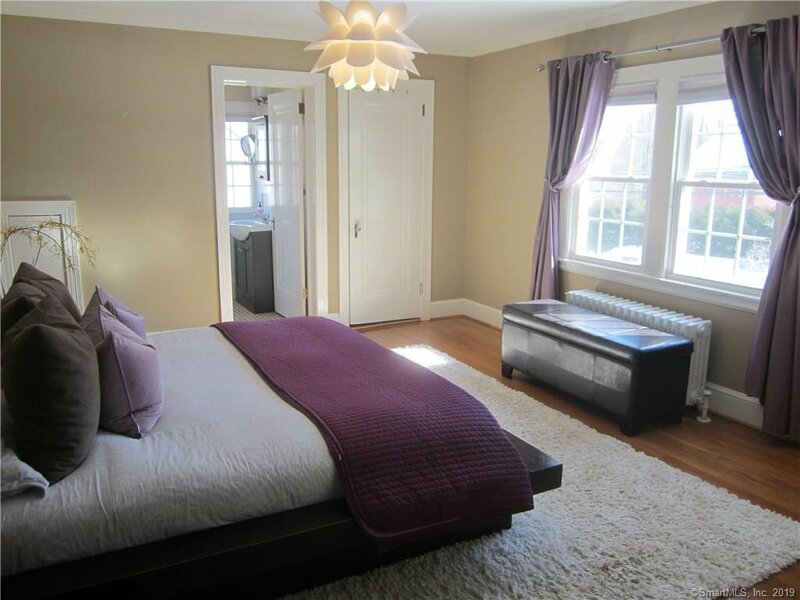 This home is conveniently located a half mile to West Hartford Center.